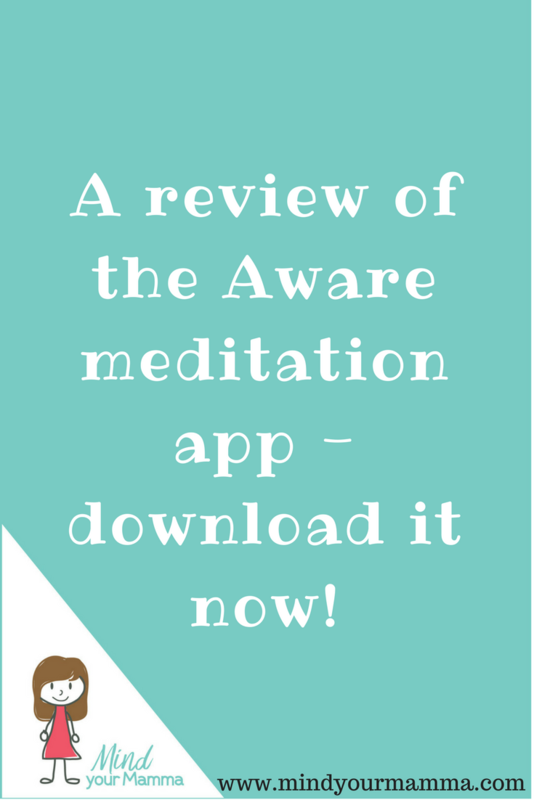 A review of the Aware meditation app - go and download it now! Do you want to start 2018 being less stressed, calmer, and simply more able to respond to life, rather than react to situations as if you had no control? Maybe you have tried mindfulness meditation on your own, but you find hard to stick to it. So here’s something for you to try – the Aware meditation app. You’ll be totally amazed at the sheer amount of quality content available with this app. So let me give you a little tour of what Aware is all about. The Aware meditation app was created by a team of former monks and meditation teachers from across the globe who created this app to teach meditation in its purest form and make it accessible and affordable to everyone. What makes this app unique is that the team behind Aware aren’t in it for the money – they’re here to help, and the price of the app does reflect this. The founders pledged to give lifetime access to teachers, students, or anyone who’s been diagnosed with a mental health issue, amongst others. They pride themselves in staying true to the practice of mindfulness and meditation, which they make relatable to everyone, by breaking it down in a way that caters to the needs of everyday life. The app is available for Android and iPhone – head over here to download it and try it out. Once you’ve downloaded the app and start exploring the content available, you’ll notice a couple of different tabs. Let’s start with the HOME tab. This view shows you any Active Courses you may be taking (I’ll tell you about the courses in a minute). What’s worth saying now is that the first course you’ll be taking is the Foundation course. This is a 21-day course that you have to complete before you’re able to start any of the other available courses. The home tab also gives you to access the Energisers. These are short (less than 4 minutes long) meditation sessions designed to help you stay relaxed throughout the day and cementing the practices you’ve learnt in the courses. The Aware app gives you access to a fantastic range of courses – to be honest, I have tried my fair share of apps, but I’ve never seen such a huge amount of content! That’s a staggering 21 courses with 21 days’ worth of meditation sessions in EACH, for a total of 441 days worth of meditation sessions. That’s more than a year worth of content! And that’s not all the app has available! And last but not least, unguided exercises. For each of these, you can choose the duration of the meditation between 4 different options – 5 minutes, 10 minutes, 15 minutes, and 20 minutes. And if you’re wondering why you need a meditation for ‘cooking’ for example, the idea here is to integrate guided meditations with your everyday life. Being mindful and meditating before embarking on certain activities, for example, helps us observe our mind, explore challenges, and set the right intentions before we go into an activity. you want to be mindful, have the right intention. Where else have you seen or heard of something like this? Aware claim to be ‘your personal mindfulness trainer’, and in this case, they really really are, aren’t they? I think it’s worth dedicating a few words to the Foundation programme, as this is the only one you have access to when you first sign up for the free version of the app. This programme is also important because you need to complete it before you can access any of the others. The programme, like all the others, is 21 days long. You can access the first 7 days for free, but you can only listen to the remaining meditation sessions when you purchase the premium version of the app. 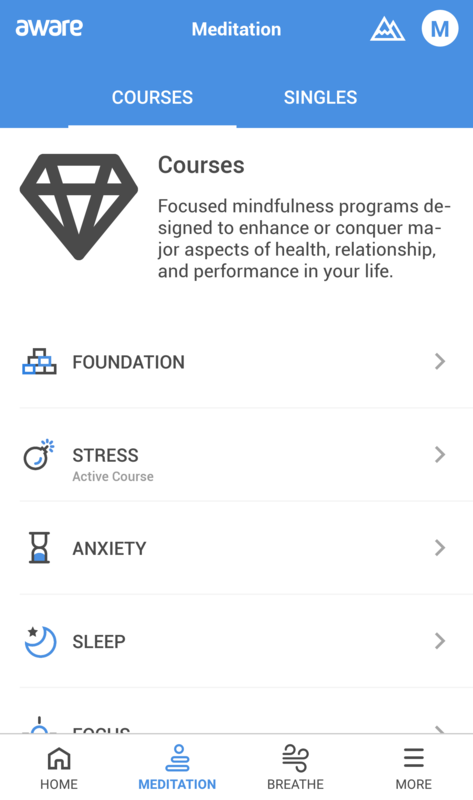 So if you’re ever unsure whether the app may be for you, and you just want to try it out with no obligation, you get seven 10-minute sessions (for a total of 70 minutes of meditation) absolutely for free with the Foundation programme. Between days 8 and 14, the daily sessions increase in duration to 15 minutes. And from days 15 to 21, the sessions are 20 minutes long. In total, the Foundation programme alone is 245 minutes, so just over 4 hours! At the end of the Foundation programme, you’ll even receive an email in your inbox to take a stress test. If you took one before you started using the app (I’d recommend doing this when you receive your welcome email), you can then compare your results. And be amazed at how your stress levels have improved. What’s the Foundation programme all about? 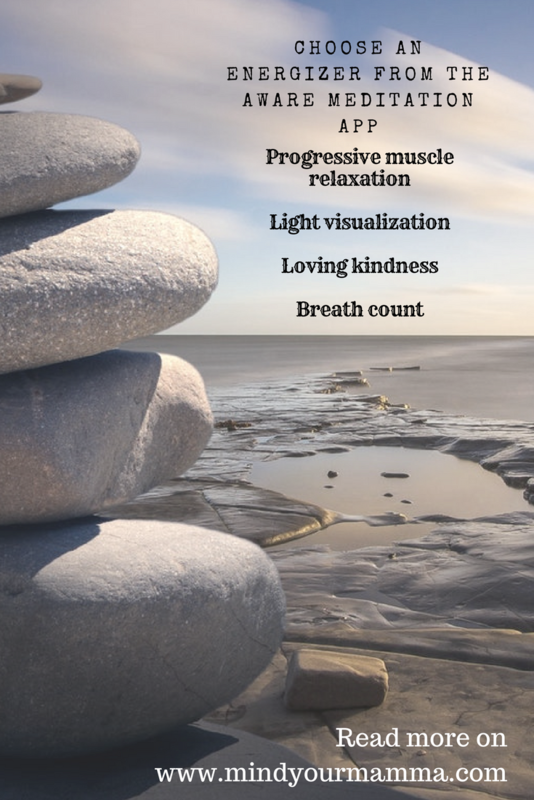 In case you’re wondering, the Foundation programme covers the basics, so the importance of posture, focusing on your breath, relaxing your expression (by having a smile on your face! ), and guiding you through a full body scan. If you’ve never ever tried it before, you’ll be glad to know there’s nothing scary or intimidating about meditation – it’s really that simple! The Foundation course also builds on helping you become aware of the sounds around you (sound awareness meditation) and to observe your thoughts without engaging with them, with no judgement. To help you understand this a bit more, Aware use a beautiful metaphor. You can think of your mind as being like an ocean. It’s always still underneath. You may see and experience lots of waves on the surface, but there is always stillness underneath. In the ocean and the mind, stillness always eventually returns. And this stillness is SO important. Because when your mind is busy going from one thought to the next, it cannot achieve clarity or focus. As you progress through the Foundation programme, you’ll notice that it’s quite big on repetition. And that’s done absolutely on purpose! Because repetition is how we learn a new skill. Think about it – we practice it until it becomes second nature. And, last but not least, you can even create your own custom exercise. If you look at the stress reduction exercise, for example, it guides you through a 3:2:3 breathing pattern. What this means is that you inhale for 3 seconds, hold for 2 seconds, and exhale for 3 seconds. The animations guide you through this visually via blue-coloured ‘waves’ that expand and retract. And if you feel like you’d rather close your eyes instead, you can do so with an audible sound or tone. The other breathing exercises follow the same format but have different inhale-hold-exhale patterns. If you’re still not convinced by the amount of value and amazing content of this app, head over to the Aware app blog, where you can find tons of articles about scientific information on how the practice of mindfulness meditation can really change your life. You can even download their free ebook Once Upon the Sea Of Awareness – A Guide to the World of Mindfulness Meditation. Review of the Aware app – so, how much does it cost? Well, I’m sure you’re now curious to get to the fine print, aren’t you? As already mentioned, you can try the first 7 days of the Foundation programme with no obligation and totally for free. The Energisers and the Singles Waking Up and Sleeping are also available to you for free. Monthly subscription – that’s $3.99 per month, and you’re not locked into any long contracts, so you can cancel at any time. Yearly subscription – for only $29.99 (and that’s about £23 at the time of writing). This gives you access to all the amazing content mentioned above for a whole year. Peanuts, right? The way I see it, with SO much great content, you can’t really go wrong here! If you’d like to subscribe to Aware, head over here and use code AWARE50 to get 50% off your first year’s subscription to the Aware app. And if you’ve left your Christmas shopping to the last minute but think someone would absolutely love access to the premium version of the Aware meditation app as a gift, you can do so too! Just follow this link, head over to the GIFT button, and enter the email address of the person you’re buying for. They’ll receive a code which will give them premium access to the app from the moment they redeem their code. So, will you be trying the Aware meditation app? 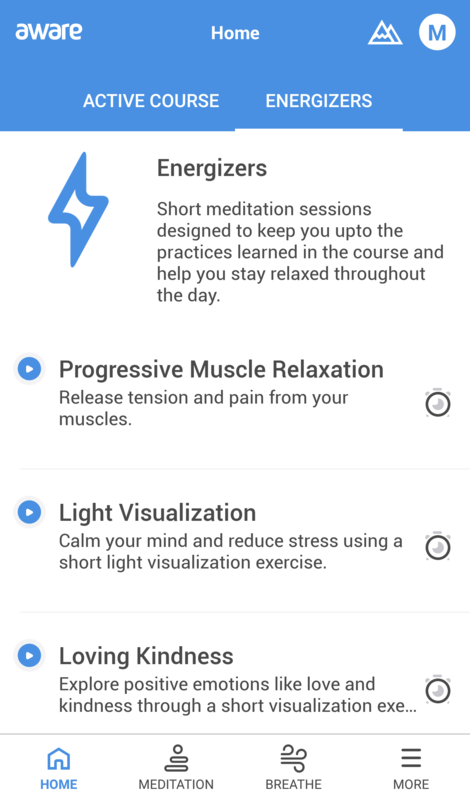 Related posts: Become calmer, more mindful and self-aware with the Welzen mindfulness meditation app. Next Post Best podcasts for mums – parenting, self-care, slow & intentional living, and much more! Wow, thank you so much sharing the promo code. I totally love this app. It is always good to find new meditation apps to help keep up with practice. Thanks for the tip. Thank you, Grace – glad you liked it!